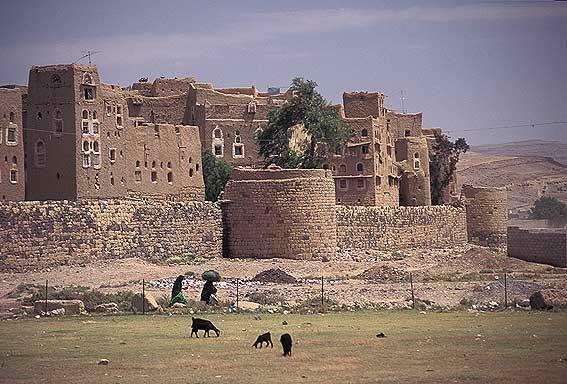 At the conclusion of a three-day battle, experienced Houthist fighters stormed the ancient Yemeni walled city of Amran on July 8, killing some 200 people in the process and displacing at least 35,000 before beginning a manhunt for remaining security officials (al-Sharq al-Awsat, July 10). Amran is the capital of the Amran governorate and the home of ex-president Saleh and the powerful al-Ahmar clan. With the Houthists now established only 50 kilometers away from the capital, Yemen’s cabinet met to condemn the offensive and issue a statement that said: “We hold the Houthis legally and morally responsible for what is happening in Amran and the implications of this on the security and stability of the homeland” (al-Sharq al-Awsat, July 10). At the same time, the Yemeni Air Force was striking targets within Amran, including the captured headquarters of the 310th Armored Brigade (Yemen Times, July 10). 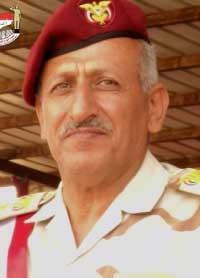 Soviet and Saudi-trained Brigadier General Hamid al-Qushaibi, an ally of the Islamist Islah (Reform) Party and commander of the 310th Brigade, was killed soon afterwards in ambiguous circumstances, with the Houthis claiming he was found dead and the Islah Party insisting he was executed by Houthist insurgents (Yemen Times, July 15). The Houthis are a religious-political movement in northern Yemen that has fought a series of wars with the central government. The Houthis are Zaydi Shiites, but so are most of their opponents in the Hashid tribal confederation, which includes the powerful al-Ahmar clan. Even religious differences between the Zaydis and the Shafi’i Sunni population of Yemen (a slight majority since unification with the largely Sunni south) are minimal, though the small but growing Salafist community in Yemen takes a sterner view of Zaydi Shi’ism. Fighting between the Houthis and al-Ahmar tribesmen in Amran governorate began last October. Clashes between the Houthis and Yemen’s 310th Armored Brigade began in March after troops denied armed Houthists entry to Amran City (Yemen Times, July 10). By June the Houthists were battling the 310th Armored Brigade and tribal militias over the approaches to Amran city. After driving the 310th Brigade from Amran, the Houthists began artillery exchanges with units of the 6th Military Command based in the mountains outside Amran City. The 6th Military Command withdrew on July 13 to allow the replacement of both it and the 310th Brigade in Amran with troops belonging to the 9th Brigade, a unit based in Houthist-controlled Sa’ada that is viewed as less inimical to the Houthist movement than the withdrawn units (Yemen Times, July 15). Although the 310th Brigade made an effort to hold the city, there were concerns over the ease with which the local Special Security Forces camp was overrun, with accusations from observers of a “hand-over” and an “act of treason” (Yemen Times, July 10). Shortly after the Houthist occupation of Amran, new clashes broke out between Houthist fighters and tribal militias affiliated with the Islah Party in neighboring al-Jawf governorate. The UN Security Council addressed the situation on July 11, demanding that the Houthis withdraw from Amran while promising sanctions against those parties determined to be inhibiting a political solution in Yemen (al-Jazeera, July 12). The Houthists have begun to use the Islah Party’s ties to the Muslim Brotherhood to characterize Party members as “terrorists,” as they are now described in Egypt (Yemen Post, July 16). The Saudi government has also recently backed off from its traditional support of the Islah Party due to the Party’s connections with the Brotherhood. The failure of Major General Ali Mohsin’s loyalists to hold Amran enabled President Abdu Rabbu Mansur Hadi to make further changes in the military command, removing Mohsin loyalists General Muhammad al-Magdashi (commander of the 6th Military Command) and General Muhammad al-Sawmali (commander of the Hadramawt-based 1st Military Command) (Yemen Times, July 15). Since becoming president, Hadi has struggled to bring the factionalized armed forces under presidential control, using purges of the senior officer corps to address continuing competition for influence from the former president, General Mohsin and the Islah Party, all of which remain significant forces within Yemen’s military. A series of presidential decrees have already removed Hadi’s biggest challengers for control of the military, sending Ahmad al-Ahmar, ex-president Saleh’s son and commander of the Republican Guard, to the United Arab Emirates to serve as Yemen’s ambassador. General Mohsin was relieved of his command of the First Armored Division and made special military advisor to the president. Shortages of pay have aggravated the situation in the military, provoking a series of small mutinies in the army and the security forces. The fact that the central government has no other means than negotiation to persuade the troops to return to their duties only encourages further such events. This article was originally published in the July 24, 2014 issue of the Jamestown Foundation’s Terrorism Monitor. A pair of recent airstrikes against Islamist-held targets in the Libyan capital of Tripoli have raised questions about Arab military intervention in Libya after reports emerged claiming the strikes were conducted by United Arab Emirates (UAE) aircraft using Egyptian airbases. The first strike, on August 17, hit up to a dozen sites in Tripoli held by the Misratan militia and their Islamist allies, killing six people and destroying a small arms depot. A second wave of attacks on August 23, struck numerous military targets shortly before dawn in southern Tripoli, but failed to prevent the Islamist-allied Libyan Shield militia (dominated by Qatari-backed Misratan fighters and allied to the Muslim Brotherhood and Ansar al-Shari’a) from seizing Tripoli’s airport and most of the capital only hours later (Middle East Monitor, August 27; New York Times, August 25). Though anti-Islamist commander General Khalifa Haftar attempted to claim responsibility for the attacks, their precision, the distance covered by the aircraft and the night operations all precluded the participation of Haftar’s small air element. The U.S. State Department initially said the airstrikes were conducted by UAE aircraft operating from an Egyptian airbase, but later issued a type of ambiguous retraction that suggested further questions should be addressed to the parties involved (Ayat al-Tawy, August 29; Ahram Online [Cairo], August 29). The participation of Egypt and the UAE was confirmed, however, by Pentagon spokesman Admiral John Kirby (Financial Times, August 21; Reuters, August 26). On August 26, a U.S. official said Washington was aware the UAE and Egypt were preparing an attack on Tripoli, but had warned against carrying out the operation (AP, August 26). When the two Arab militaries took the decision to strike Tripoli, they failed to inform their long-time military patron, possibly marking some dissatisfaction with Washington’s reluctance to take more decisive action in Libya and elsewhere. The apparent failure of General Haftar’s “Operation Dignity” has led his Arab backers in Egypt, the UAE and Saudi Arabia to consider more direct approaches to re-establishing security in Libya, where both of the nation’s major cities (Tripoli and Benghazi) have been effectively seized by Islamist militias, forcing the national government to move to Tobruk, close to the border with Egypt. Rumors of an Algerian-Egyptian invasion of Libya circulated throughout August, though a prolonged Algerian military intervention would risk inflaming social and economic tensions within Algeria (Middle East Eye, August 21). The lack of military cooperation between Algeria and Egypt would also seem to argue against a joint operation. Qatar supports the Islamist faction in Libya and hosts leading Islamist politician Ali Muhammad al-Salabi, an associate of former Libyan Islamic Fighting Group commander Abd al-Hakim Belhadj, now a prominent Islamist militia commander in Tripoli. Both the Algerian and Egyptian militaries are involved in ongoing counter-terrorism campaigns; the question is whether these nations view Libya as an unwanted second front or as an integral part of a wider international anti-terrorist campaign. Arab affairs should be settled within the framework of the Arab world because the Arab arena then becomes [accessible] to many regional players. I think this is a risk that threatens all Arab countries… There must be strong and effective police and military forces because not every threat faced by countries is international. There are many regional challenges so we should have the potential to face these threats. As [much as] the UAE and other countries need regional allies, we have to start with our own self-power and potential (The National [Abu Dhabi], March 31). Gargash later said that allegations of UAE interference in Libyan affairs were merely an attempt to divert attention from Libya’s parliamentary elections, in which the Islamists fared poorly: “The people have spotted [the Islamists’] failure and recognized their lies. Disregarding the results of the Libyan parliamentary election is nothing but an indication of the isolation of the group, which is seeking a way out of their segregation, and [to] justify their mismanagement… Since their seven percent does not form a majority, Islamists in Libya resorted to violence and spread chaos across the country” (Khaleej Times [Dubai], August 27). 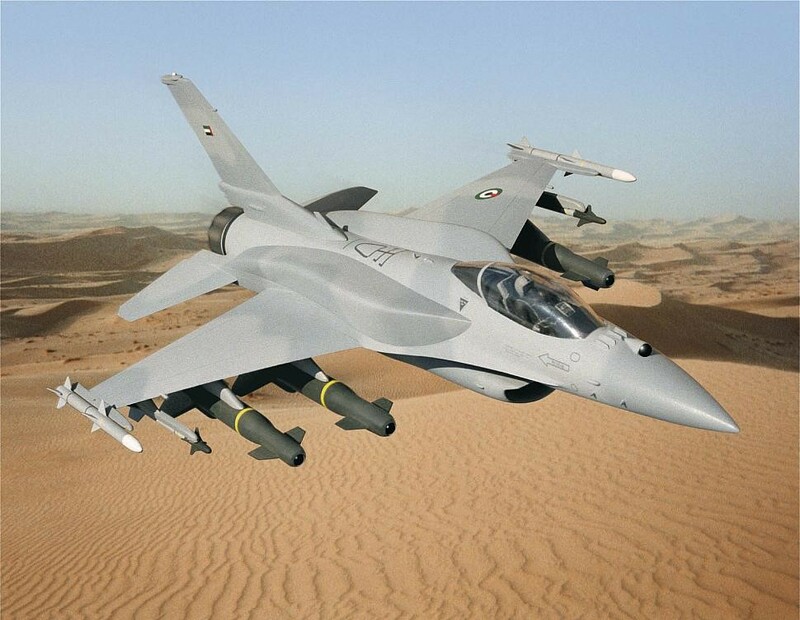 UAE pilots certainly know the way to Tripoli; during the NATO-led intervention in 2011, the UAE Air Force (UAEAF) deployed six F-16s and six Mirage fighter jets during the anti-Qaddafi campaign (AP, April 27). The UAE has used some of its considerable oil wealth to obtain a modern and well-trained air arm to help ensure the security of the Emirates in an increasingly unstable region. Many of the pilots and technicians are Pakistani ex-servicemen serving the UAE on private contracts. With the Mirage jets being phased out in favor of American-built F-16s, many of the pilots are not trained in the United States or by American trainers in the UAE. The UAE is also one of the few nations in the region to have mid-air refueling capabilities for long-distance operations thanks to its recent purchase of three Airbus A330 Multi Role Tanker Transports (MRTT). In recent years, the UAE has been improving its military capabilities to take a greater role in foreign affairs (particularly in the Arab world) and regional counter-terrorism efforts under the direction of Crown Prince Muhammad bin Zayid al-Nahyan. Although a cursory examination of a map of North Africa would seem to indicate Libya and Egypt are close neighbors, in reality, their interaction has been historically limited by distance, topography and culture. 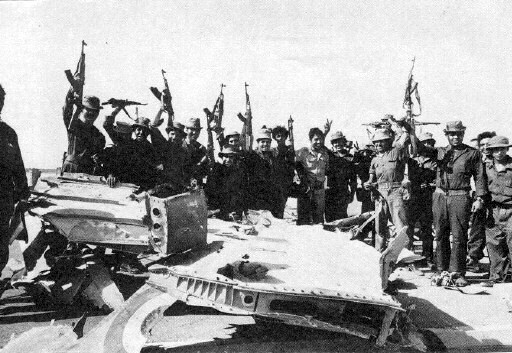 A brief 1977 border war that ended in disaster for Mu’ammar Qaddafi’s poorly trained Libyan forces marked the last military encounter of any significance between the two nations. Egyptian president Abd al-Fattah al-Sisi told a U.S. congressional delegation on August 29 that Egypt respected Libyan internal affairs, but noted that democracies cannot be built on ruins: “Despite Egypt being one of the most harmed parties from the deteriorating political and security situation in Libya, it is committed to non-interference in internal Libyan affairs” (Egypt State Information Service, August 29; Ahram Online [Cairo], August 29). While Egypt has been reluctant to admit any involvement in the airstrikes, there are reports that its newly formed Rapid Intervention Force, a group of some 10,000 commandos with airborne capability dedicated to counter-terrorism operations, has been involved in intelligence collecting operations in eastern Libya focused on Ansar al-Shari’a activities (AP, August 26; Cairo Post, May 8; al-Bawaba, March 30). Egyptian foreign minister Sameh Shoukry was adamant that Egypt was not involved in “any military activity and does not have any military presence on Libyan territories,” all of which might be technically true if Egypt only provided use of an air base to a UAEAF mission (al-Jazeera, August 26). UAE officials were more reticent, noting at first only that the Emirati authorities had “no reaction” to reports of UAEAF activity in Libya (al-Jazeera, August 26). The day after the attack, the Egyptian and Libyan Foreign Ministers announced a bilateral initiative to restore security in Libya without military intervention by non-Arab (i.e. Western) nations. The plan calls for the disarmament of Libya’s militias with the aid of regional and international partners, but depends largely on commitments from international arms suppliers to halt sales to the militias after disarmament. Though well-intended, neither the Egyptian nor Libyan armed forces have the ability or will to further this initiative (Ahram Online [Cairo], August 25). Libya could provide a rallying point for Egyptian jihadists, likely in the newly-declared “Islamic Emirate of Benghazi” (see Terrorism Monitor, August 7). Though the anti-Sisi “Free Egyptian Army” with supposed Qatari-Turkish-Iranian backing appears to have a greater presence in the virtual world than the battlefield, a small number of Egyptian extremists have taken refuge in Libya and could attempt to form new armed opposition groups there (al-Ahram Weekly [Cairo], April 24; al-Akhbar [Beirut], April 10). Working in favor of the Egyptian government is the relative difficulty of mounting operations of any size in Egypt from Libyan bases. Continuing its policy of cultivating tribal elites in the border region for intelligence gathering and counter-terrorist operations. These elements will not work for free, however; they are seeking development projects and legal concessions in return for their cooperation. The tribes that straddle the modern border now control much of the smuggling of arms and other contraband from Libya to Egypt. Forcing the Egyptian army into this war to achieve foreign powers’ goals and agendas represents the biggest threat to Egypt’s national security and tarnishes the reputation of the Egyptian army, making it look like a group of mercenaries. It also weakens its capabilities when it comes to face real enemies, which brings to mind painful memories of the intervention of the Egyptian army in the war in Yemen, which later led to a disastrous defeat in 1967 in the war against the Zionist entity [i.e. Israel] (Ikhwanweb [Cairo], August 24). Libya’s branch of the Brotherhood, which fared badly in the elections last June, is now setting up a rival regime in Tripoli to that of the elected parliament. The turmoil in Libya strengthens al-Sisi’s posture as the Egyptian and even regional defender of Arabs from religious-political extremism, giving him the freedom to impose stricter security regimes designed to eliminate the Islamist opposition. The question now is whether Qatar will step up its military support of Libya’s Islamists to counter the UAE’s and Egypt’s support of anti-Islamist factions. The August airstrikes on Tripoli suggest that this distant arena is gradually becoming a battleground in the struggle between pro-Islamist states such as Qatar and Turkey and their more conservative opponents – the UAE, Egypt and Saudi Arabia. See Andrew McGregor, A Military History of Modern Egypt: From the Ottoman Conquest to the Ramadan War, Praeger Security International, Westport CT, 2006, Chapter 19. This article first appeared in the September 5, 2014 issue of the Jamestown Foundation’s Terrorism Monitor. Egypt’s Grand Mufti (chief Islamic jurist), Shaykh Shawqi Ibrahim Abd al-Karim Allam, has opened a new campaign to combat Islamist militancy of the type promoted by the Islamic State through electronic means such as internet sites, videos and Twitter accounts. The campaign, which will involve Islamic scholars from across the world, aims to: “correct the image of Islam that has been tarnished in the West because of these criminal acts, and to exonerate humanity from such crimes that defy natural instincts and spread hate between people” (Middle East News Agency [Cairo], August 31; September 1; AP, August 25). There were 37 million internet users in Egypt as of September 2013 (Ahram Online, September 1). Egypt’s Grand Mufti has also been pulled into the controversial death sentences issued against leading members of the Muslim Brotherhood and their followers in connection with a series of violent incidents that followed last year’s popular rising/military coup that toppled the rule of Muhammad Morsi and the Freedom and Justice Party (the political wing of the Brotherhood). The specific case in which the Grand Mufti was invited to give his opinion involved death sentences handed down to Muslim Brotherhood Supreme Guide Muhammad al-Badi’e and seven other Brotherhood leaders in June (six others were sentenced to death in absentia, but have the right to new trials if they return) in connection with murder charges related to the clashes at the Istiqama mosque in Giza on July 23, 2013 that left nine people dead. Egyptian legal procedure calls for all death sentences to be confirmed by a non-binding decision of the Grand Mufti, though in practice such decisions are nearly always followed. Unusually, in this case, the Mufti’s original decision to commute the June death sentences to life imprisonment was returned by the court for reconsideration (Ahram Online [Cairo], August 30; al-Jazeera, August 8). Shawqi Allam declined to take the hint and instead reaffirmed his position that the death penalties were inappropriate given that the evidence consisted solely of unsupported testimony from a police operative (Deutsche Welle, August 30). The Grand Mufti’s actions have been interpreted as a rebuke to the judicial process that has delivered hundreds of death sentences to Muslim Brotherhood members and supporters this year following the group’s official designation as a “terrorist” organization. Muhammad al-Badi’e still faces another death sentence in relation to a separate case regarding the Brothers’ alleged armed response to a July 2014 demonstration at their al-Muqattam headquarters in eastern Cairo. The decisions of Egypt’s Dar al-Ifta (House of Religious Edicts) are typically closely aligned to official government policy, leading many observers to consider it a quasi-governmental agency. Nonetheless, the office and Egypt’s Grand Mufti remain important sources of spiritual direction throughout the Sunni Islamic world, with thousands of fatwa-s being issued every month in response to questions of faith and practice from around the Islamic world. Compared to institutions such as Cairo’s 10th century al-Azhar Islamic University (also brought under government control in 1961), Dar al-Ifta is a comparatively modern institution, having been created at the order of Khedive Abbas al-Hilmi in 1895. 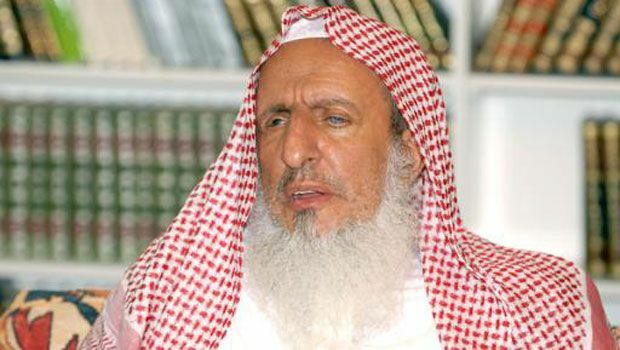 In Saudi Arabia, Grand Mufti Shaykh Abd al-Aziz al-Ashaykh, chairman of the Council of Senior Ulema and the General Presidency of Scholarly Research and Ifta (the Kingdom’s fatwa-issuing office), used an August 28 radio interview to respond to the arrest of eight men charged with recruiting fighters for the Islamic State by urging young Saudis to resist calls for jihad “under unknown banners and perverted principles” (Nida al-Islam Radio [Mecca], August 28). The interview followed a statement entitled “Foresight and Remembrance” made several days earlier in which the Saudi Grand Mufti described members of al-Qaeda and the Islamic State as “Kharijites, the first group that deviated from the religion because they accused Muslims of disbelief due to their sins and allowed killing them and taking their money,” a reference to an early and traditionally much despised early Islamic movement whose advocacy of jihad against rulers they deemed insufficiently Islamic (similar to the takfiri pose adopted by the modern Islamist extremists) led to nearly two centuries of conflict in the Islamic world: “Extremist and militant ideas and terrorism which spread decay on earth, destroying human civilization, are not in any way part of Islam, but are rather Islam’s number one enemy, and Muslims are their first victims…” (Saudi Press Agency, August 19). The Grand Mufti’s comments reflect a growing concern in Saudi Arabia that the Kingdom will inevitably be targeted by the so-called Islamic State, a development that could shatter the partnership between Wahhabi clerics and the al-Sa’ud royal family that dominates the Kingdom both politically and spiritually. Thousands of Saudis are believed to have left to join Islamic State and al-Nusra Front forces in Iraq and Syria in recent months (Reuters, August 25). The Islamic State poses a direct challenge to the religious legitimacy of the al-Sa’ud monarchy and their rule of the holy cities of Mecca and Madinah by presenting the creation of a caliphate as the true fulfillment the Wahhabist “project” while simultaneously undercutting the authority of Wahhabist clerics such as Shaykh Abd al-Aziz, whom the movement views as having been co-opted by their partnership with a “corrupt and un-Islamic” royal family. This article first appeared in the September 4, 2014 issue of the Jamestown Foundation’s Terrorism Monitor. Days after the September 24 ceasefire that ended Israel’s Operation Protective Edge in Gaza, thousands of members of Islamic Jihad who had fought alongside Hamas in the 50 day conflict gathered with their weapons in Gaza City to hear al-Quds Brigade (the armed wing of Islamic Jihad) spokesman Mahmoud al-Majzoub (a.k.a. Abu Hamza) declare: “We have not stopped making weapons, even during the battle, and we will redouble our efforts… to prepare for the next stage, which we hope will be the battle for freedom” (AFP, August 30). 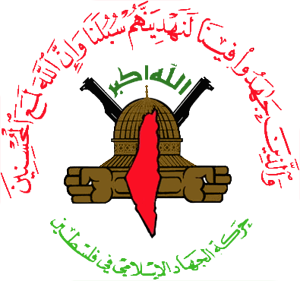 The Iranian-supported Sunni “resistance movement” (full name: Harakat al-Jihad al-Islami fi Filastin – The Islamic Jihad Movement in Palestine) was targeted by Israeli bombardment and heavily involved in the urban warfare that claimed the lives of 66 Israeli soldiers. Islamic Jihad reports the loss of 121 members during the fighting but asserts that it managed to fire 3,250 rockets, mortars and missiles into Israel during operations that were often closely coordinated with Hamas (i24news.tv, August 29). In addition, some 900 mortar shells were fired during operations against Israeli armor along the Gaza-Israel border (Press TV [Tehran], August 30). Certain IJ leaders were targeted during the conflict, including Shaban Sulayman al-Dahdouh, who was killed along with 13 others in a July 21 airstrike (Ma’an News Agency, August 5). Islamic Jihad leader Ramadan Abdullah Shallah maintains that Israel was surprised by the military capabilities of the resistance movement in Gaza (Press TV, August 26). His movement mounted its own limited military operation in March after Israeli forces killed three IJ fighters within Gaza, firing 130 rockets into Israel during “Operation Breaking the Silence” (al-Jazeera, March 12). While Islamic Jihad was prepared to negotiate a ceasefire in the latest conflict in August, Israeli demands for disarmament were rejected from the first. According to a senior Islamic Jihad leader, Khader Habib, “The issue of arms is connected to the existence of the occupation… This right [to bear arms in self-defense] is guaranteed by the laws of heaven and earth” (Middle East Monitor, August 7). Al-Quds Brigade spokesman Abu Hamza has emphasized that Islamic Jihad is determined to improve its military capabilities while thanking those nations and groups who supported the Palestinians during the Israeli offensive, singling out Hezbollah, Iran and Sudan in particular (Press TV [Tehran], August 30). Iranian Revolutionary Guard Corps (IRGC) commander General Mohammed Ali Jafari has assured both Hamas and Islamic Jihad of more help “than in the past in all defense and social domains” (AFP, August 30). With inspiration from the 1979 Islamic Revolution in Iran, Palestinian exiles Abd al-Aziz Awda and Taghi Shaqaqi created Islamic Jihad in the same year, initially operating out of Egypt. Shaqaqi was assassinated in Malta by a Mossad team in 1995, while Awda assumed the spiritual leadership of the group. Today, Islamic Jihad operates in both Gaza and the West Bank under the leadership of Dr. Ramadan Abdullah Shallah, an original member and former professor in southern Florida who took control of the movement after Shaqaqi’s death. Despite the close (and almost essential) military cooperation between Hamas’ Izz al-Din al-Qassam Brigades (the military wing of Hamas) and Islamic Jihad during the conflict with Israel, the two movements have become political rivals to some degree within Gaza. Recent polling has suggested Islamic Jihad has made recent gains in popularity at the expense of Hamas, though the movement still commands just over 13 percent support (Al-Monitor, August 10). Besides its military activities, Islamic Jihad offers social services to Gaza’s hard pressed population, including health services, schools and dispute mediation, the latter often in ways that are more efficient than similar services offered by Hamas. The movement believes its focus on armed struggle is attracting new supporters, though Islamic Jihad has the luxury of not having to focus on the nearly insurmountable problems of governing a region under blockade that confront Hamas on a daily basis. Islamic Jihad has also distanced itself from Hamas’ association with Egypt’s Muslim Brotherhood, a liability in today’s political climate and counter to IJ’s interest in maintaining good relations with the new Egyptian leadership. There are reports of occasional small-scale clashes between Hamas and Islamic Jihad inside Gaza, but Islamic Jihad shows little inclination to pursue or escalate these conflicts, keeping in mind that Hamas has control over the supply of weapons smuggled into Gaza (al-Akhbar [Beirut], April 16).